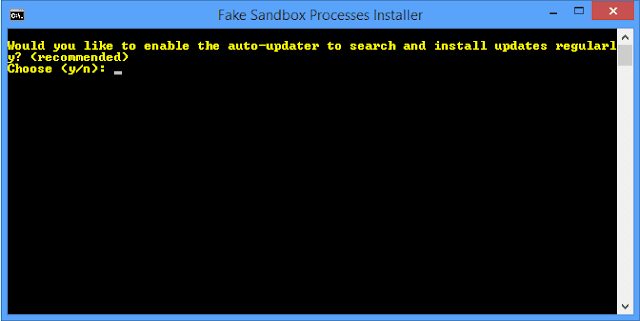 This small script will simulate fake processes of analysis, sandbox and/or VM software that some malware will try to avoid. You can download the original script (made by @x0rz ) in the orig directory. You can also download my slightly optimized script in the main directory. The file is named fsp.ps1. 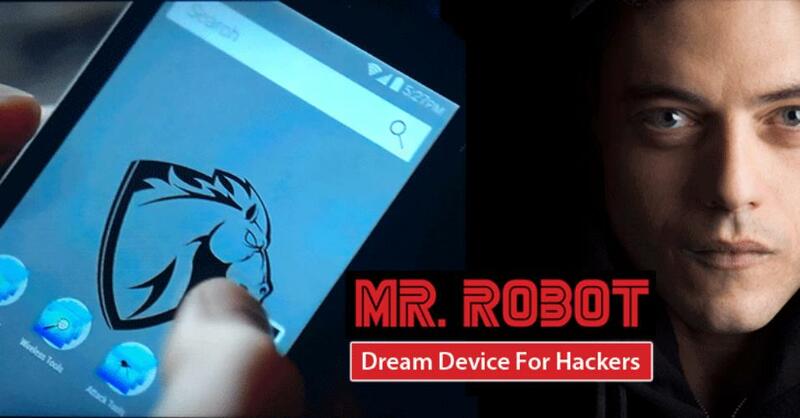 Some (good) spyware will stop spying on you as long as the processes run, which are created by this script. Automatic updater included - only if you want! 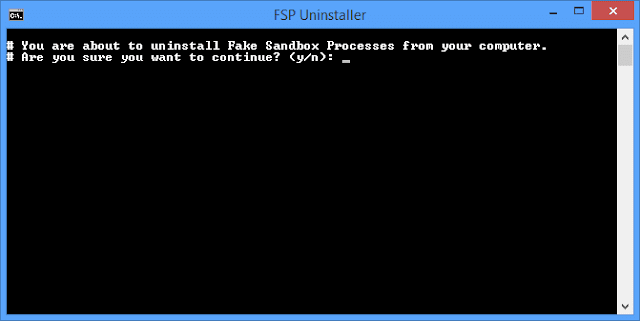 Powershell -executionpolicy remotesigned -File "Your\Path\fsp.ps1"
After pressing ENTER you will be asked to either start or stop all processes. If you execute the powershell script with the above command, you will have to rerun it after every login or startup. 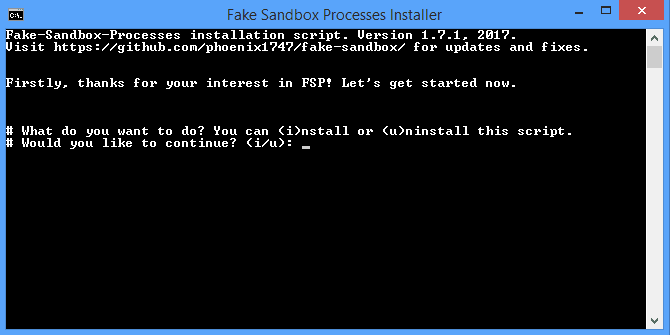 In order to autostart the script I made an easy-to-use installer. Download the fsp-installer.bat file from the release section. Choose "i" to start the installer. Now enter "y" to start installing or "n" to abort. Enter "y" to install the auto-updater or "n" to not install it (it'll work anyways, but it is recommended to install the updater). You can now close the window or press any key to close it. The (un)installation is complete. If you no longer want this program on your computer, you'll need the fsp-installer.bat file again. Run it and chose "u" to start the uninstallation process. Then enter "y" if you are ready to uninstall it. If the process was successful, you'll see a confirmation screen.